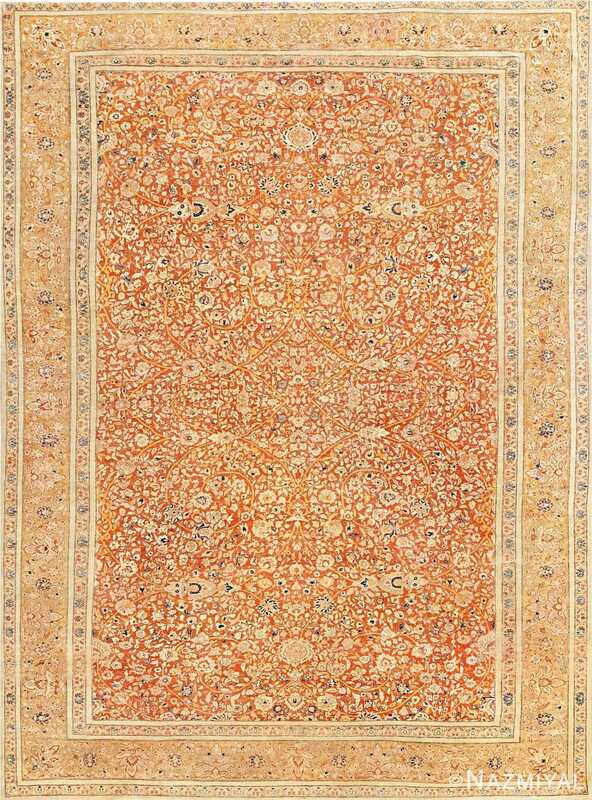 Antique Persian Tabriz Rug by Haji Jalili, Origin: Persia, Circa: Late 19th Century – Here is a truly striking and masterfully woven antique rug – an antique Tabriz rug, attributed to the legendary Haji Jalili. 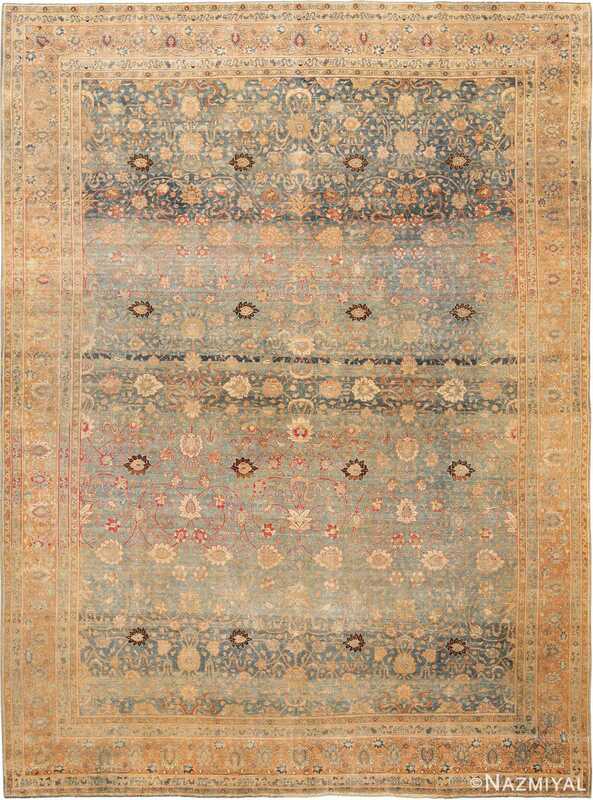 In the antique rug world, the legendary weaver Haji Jalili is best known for his impressive and distinctive approach to rug-making, including his tendency to create especially fine patterns. 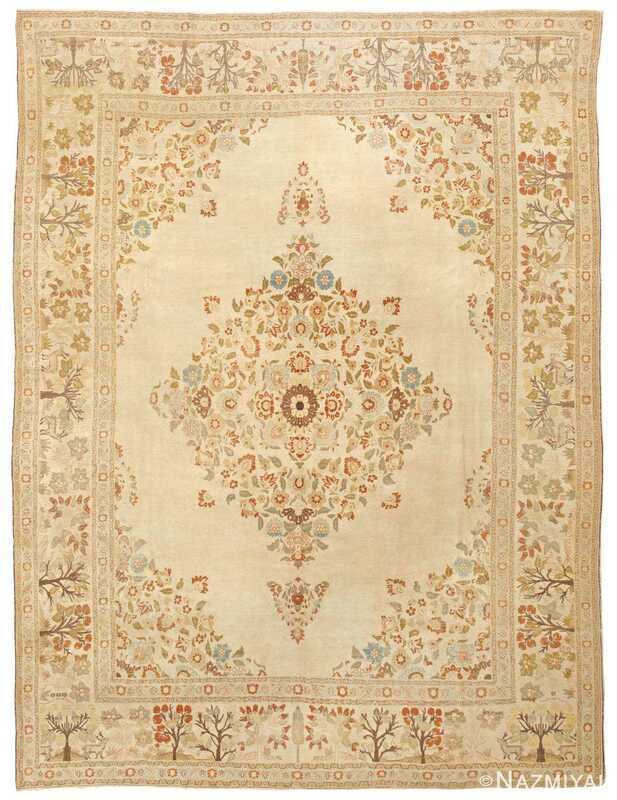 This particular example is typical of the incredible level of detail that can be expected of Haji Jalili carpets, as it is truly an exceptionally made antique rug. Gorgeous borders of an intriguing shade of soft orange-brown, incredibly detailed with impeccably woven floral details, surround a captivating field of red in this impressive antique Persian rug. This field is so richly and beautifully detailed by the allover pattern of sinuous vine scrolls and floral elements that it is difficult in certain areas to see the red. 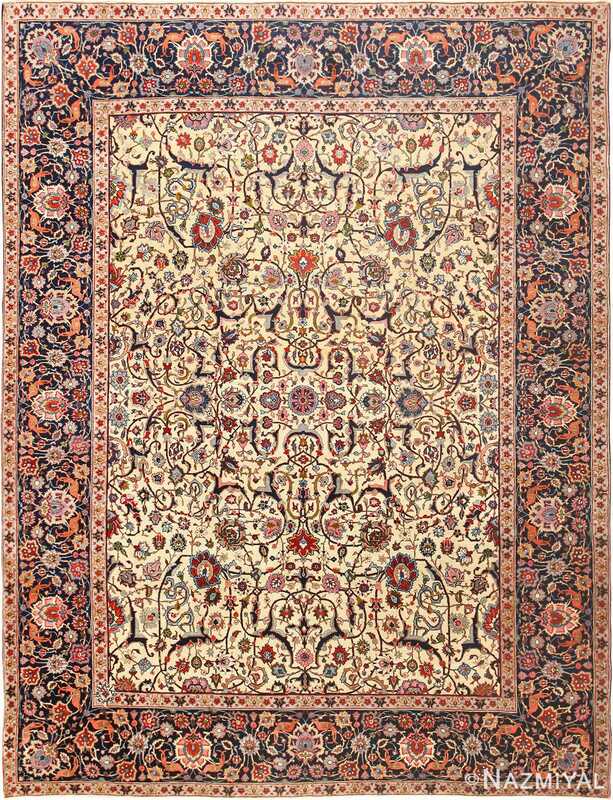 Beautifully woven and incredibly detailed, this Haji Jalili Persian carpet is a powerful example.